Inside a bamboo shelter on Bangladesh’s eastern coast, 58-year-old Sait Banu held a dog-eared note from her husband. “If you find a good match for my daughter Una Jamin, you can arrange her wedding,” he urged her in the letter. The message, sent from a prison hundreds of miles away in Myanmar’s Rakhine state, was the first Sait Banu had heard from her husband since he was arrested in an army sweep last August that forced more than 700,000 Rohingya Muslims, including Sait Banu and her nine children, to flee to neighboring Bangladesh. During weeks of violence that the United Nations has called “ethnic cleansing,” soldiers killed, raped, and arrested thousands of Rohingya, survivors and human rights groups said. Myanmar denies the allegations. 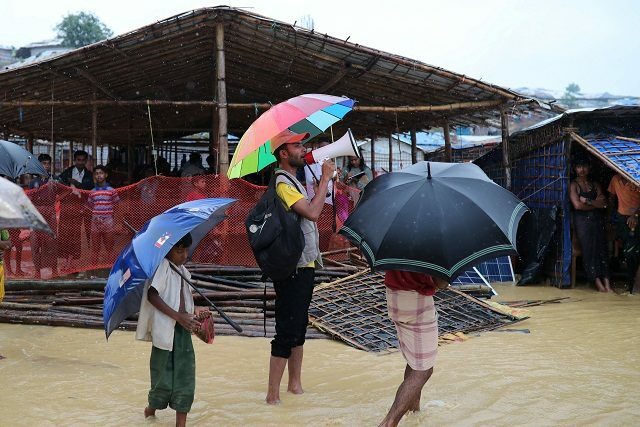 Scraps of paper carried between prisons in Myanmar and the camps by the International Committee of the Red Cross are a rare source of hope for families torn apart by the largest and fastest refugee influx in the region in the past twenty years, the refugees say. Reuters saw copies of seven notes, provided by Red Cross officials and hand-written on forms bearing the letterheads of Red Cross organizations, but could not independently verify their authenticity. When Sait Banu’s husband was arrested in their village in northern Rakhine one morning last August, she was not told why the police were taking him. “They arrested 50 men from my village that day,” she said. It took place only days before Rohingya insurgents struck 30 police posts on Aug. 25. Although written forms of the Rohingya language exist, and there are efforts to digitize a script, none is widely used in the camps. 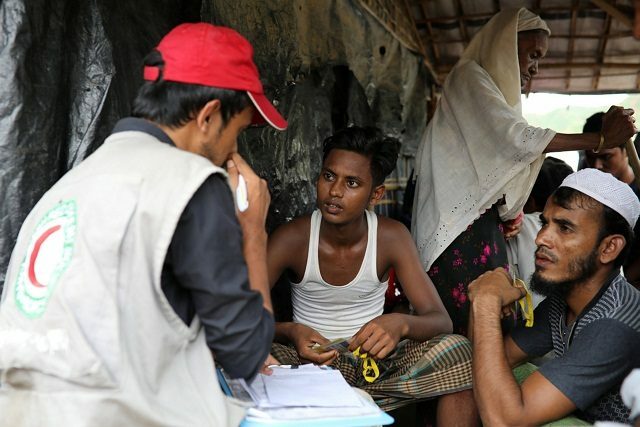 On a recent afternoon, a volunteer for the Bangladesh Red Crescent Society – a Red Cross-funded organization – at the Zadimura refugee camp read out a list of 16 Rohingya men found alive in Buthidaung jail. When Oli Mian heard his son’s name, he couldn’t believe it. Only when it was read out again and the family details were confirmed he realized this meant his only son was alive. His eyes welled up with tears and he walked with his wooden stick back to his shelter to tell his wife.